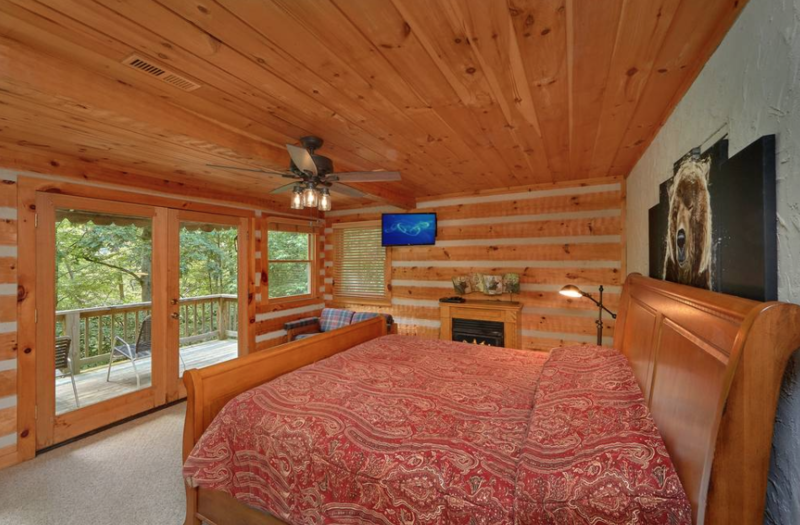 Cozy Bear is 5 miles to the National Park, Dollywood, Aquarium, Old Mill, and the Islands... 3 King Suites- 1 on each floor... 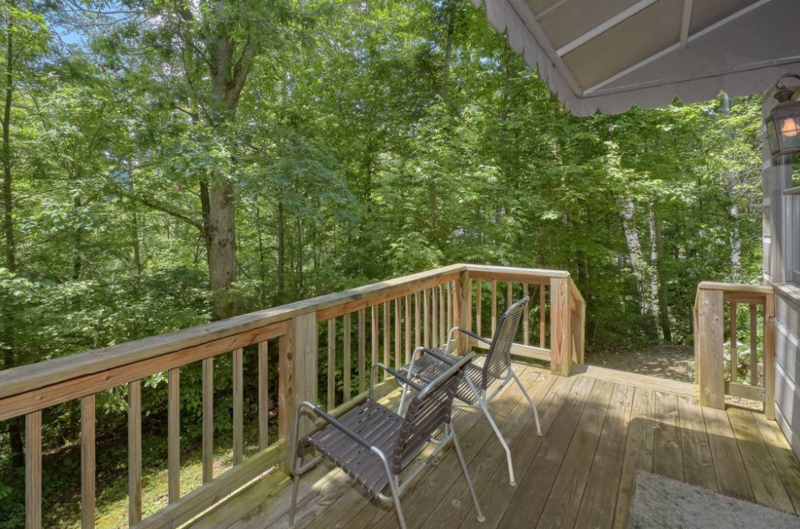 Wooded, secluded, fun to walk, paved roads! 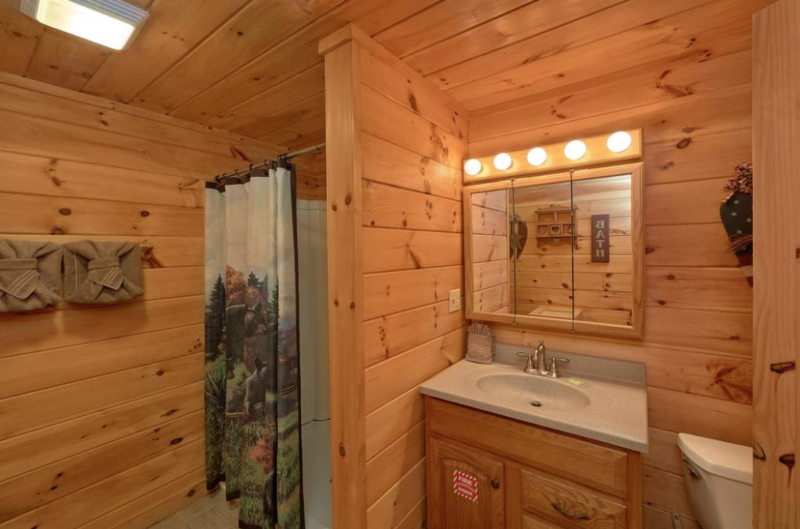 Couples and small families love this more rustic "log and chink" style cabin nestled in the trees conveniently between Pigeon Forge and Gatlinburg with a very woodsy feel and decorated with ANTIQUES and CRAFTS from the Great Smoky Mountain artisans. 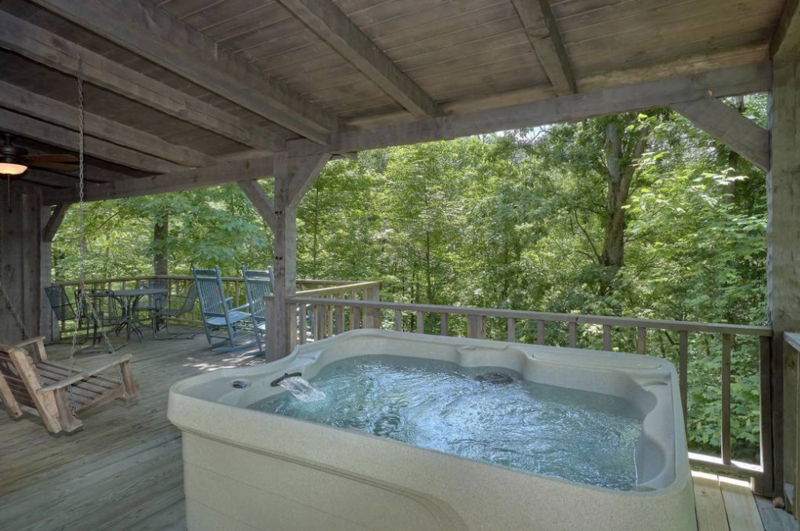 The 2 large COVERED PORCHES offer plenty of space with a 4 person HOT TUB in a private setting with a WOODED VIEW. Throw some steaks on the CHARCOAL GRILL or sit back and relax in a rocking chairs or swing and breathe in the fresh air. 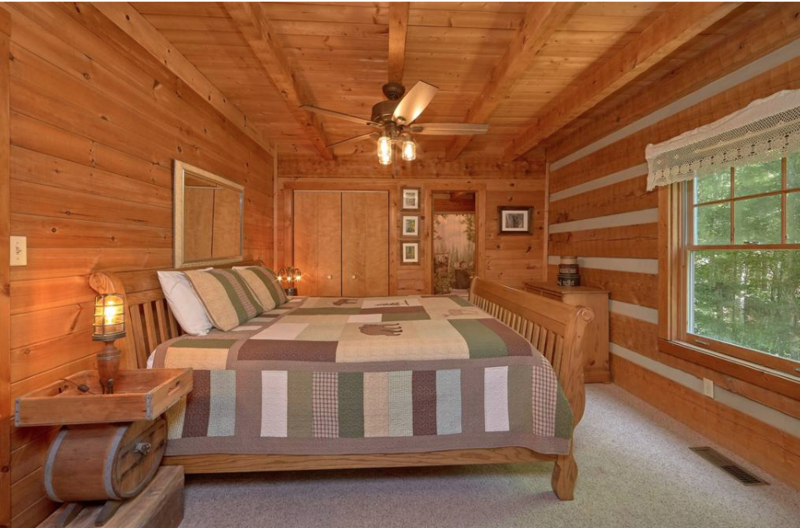 This cabin creates a great atmosphere with 3 KING BEDS with FLAT SCREEN TV's and BLU-RAY DVD’s in each bedroom. 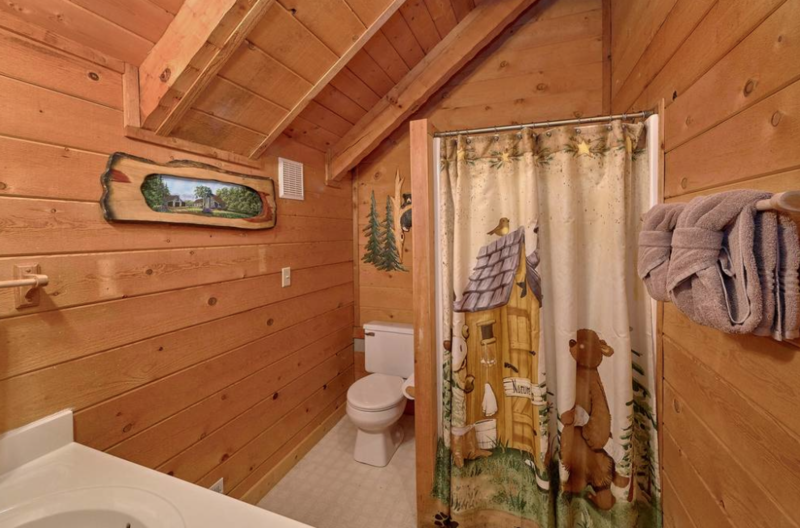 The main floor bedroom has a JACUZZI with wooded view. Couples seem to love the coziness of the living room, which offers a gorgeous river rock GAS FIREPLACE, a 50" LCD FLAT SCREEN TV with BLU-RAY DVD and a queen size pull-out leather sofa bed. The kitchen is fully equipped with new stainless steel appliances. 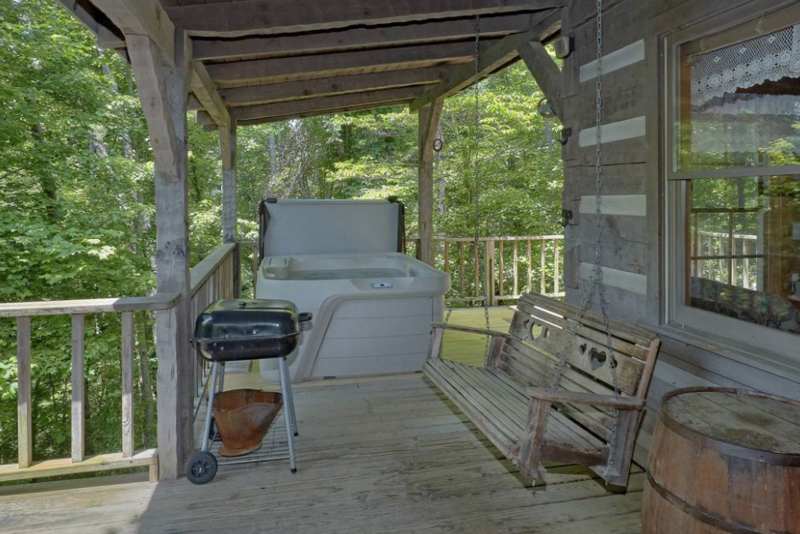 The KING master suite on the first level has access to full bath and JACUZZI room with large picture windows to let in the natural light that leads to the COVERED DECK with ROCKING CHAIRS, PORCH SWING and HOT TUB. 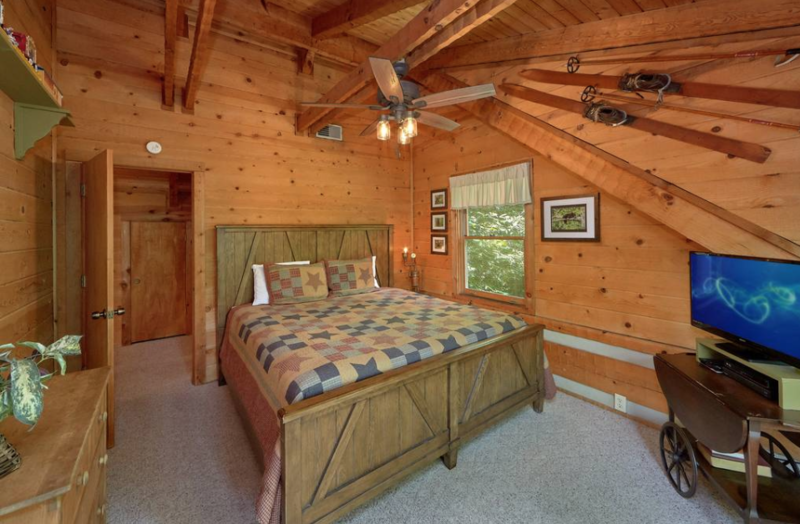 The upstairs KING bedroom and second full bath also has full HAND HEWN exposed wood and beams. The LOFT outside the bedroom has POOL TABLE and 60-in-1 ARCADE GAME with the classic video games. WASHER and DRYER are available on this level. The KING suite bedroom on the lower level has a full bath with a back COVERED DECK and seating that leads to the backyard space with FIRE PIT and WOODED VIEW. 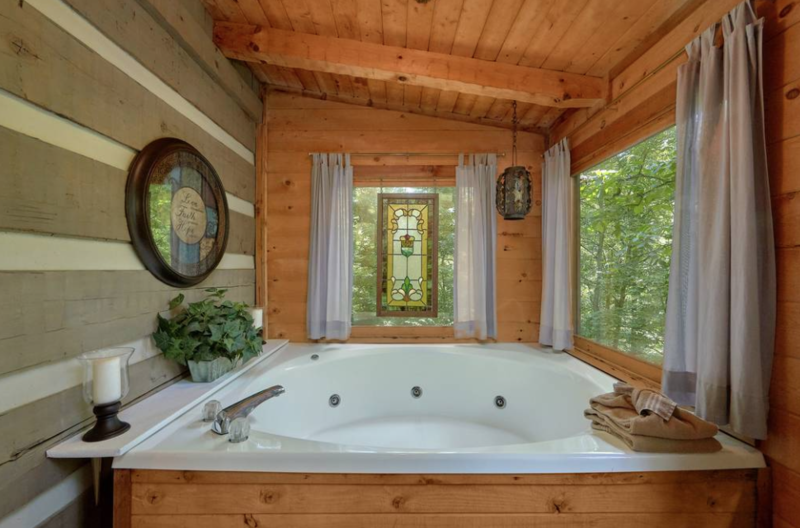 Cozy Bear Retreat makes for an incredible family hideaway in the Smokies. 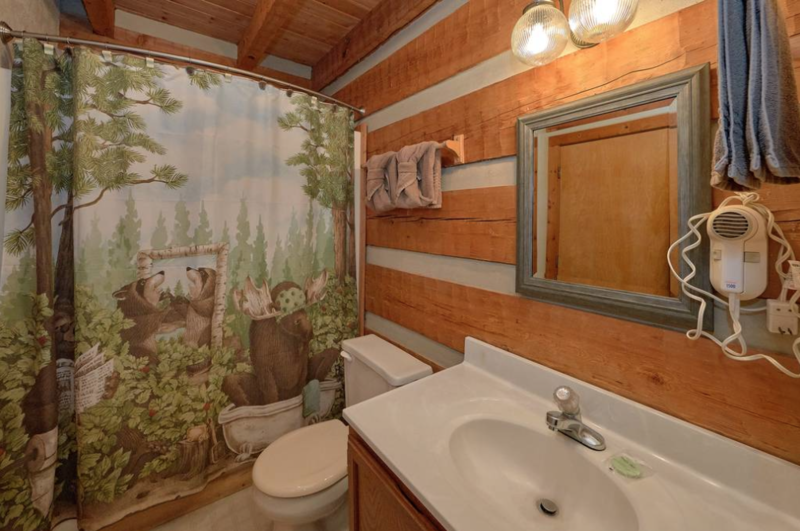 Cozy Bear Retreat is extremely convenient to everything: 3.5 Miles to the Old Mill Restaurant, 5 Miles to The Islands in Pigeon Forge, 5 Miles to Dollywood, 5 Miles to downtown Gatlinburg,and 4 Miles to the bypass that takes you around Gatlinburg and into the park.